I have two kids and when they were in their first year I have experimented with both of them. While I had all jitters of a new mom when I had my elder one and trusted every opinion around me to be better than my own, I was an informed mom the second baby around. My mom was my guiding light for my first baby. She advised me to only use soft, old cloth for the newborn poos and pees as his skin was soft and a disposable diaper could cause rashes. Also, around 11 years back newborn diapers were not available in India and had to be sourced from abroad which made it almost impossible for me. For the first three months, I followed her advice and lived in the smelly world of poo and pee before shifting to disposable diapers. If anyone has used cloth diapers they will know how the house smells when there are multiple diapers are hanging to dry plus the pain of soaking, washing and drying them is not something I enjoyed at all. Amongst feeding, bathing, changing and putting him to sleep this was an added pain. For my second one, five years later, newborn diapers were available and he was a diaper baby from day one. There were no rashes, no smells and immense peace of mind. I could sleep better and was a happier mom. I just was very careful about cleaning him as soon as possible after he had pooped and applying a lavish coat of diaper rash cream after each change. Now with Bubbles, the technology and choices of disposable diapers have seen improvement by many folds. It also depends on which brand and which kind of diaper you would choose for your kid. 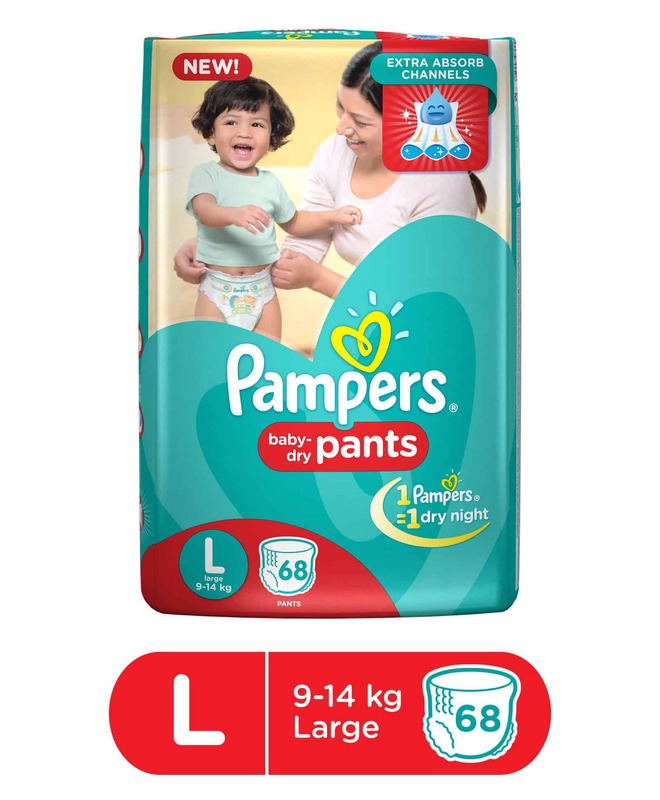 Pampers has worked well for Bubbles and we are very happy with the current version of Pampers Dry Pants. Bubbles being changed by her mom, Devika. I know there is a lot of talk about the cloth diapers but for me, there are many many reasons why I would choose disposable diapers over cloth ones any day, so I thought I would bust some myths around diapering! Disposable diapers keep the skin super dry as they are very absorbent. The new Pampers baby-dry pants are super thin and super absorbent. I have reviewed the diaper myself and you can also watch this video to see it for yourself. A lot of moms believe that diapers have to be well padded to be more absorbent. It’s not the padding that matters but the absorbent gel which goes inside a diaper that makes the difference. The new Pampers also has three channel technology that distributes the pee evenly so your baby is comfortable at all times. What is better for Baby’s Skin? Both cloth and disposable diapers can cause skin rashes if the baby is left uncleaned for a long time after it has pooped or if the diaper is full of pee and not changed every few hours. The idea is to keep the skin dry and clean and the same effort is required for both. In fact, the disposable diapers need less frequent changes. Aren’t babies the happiest after a diaper change? Do Disposable Diapers cost more? This is a long-standing debate however, there are two things to keep in mind. Cloth diapers are reusable but need to be changed (every 2-3 hours) more often. Pampers/disposable diapers need less frequent changes (4-5 hours or more). Secondly, while considering cloth diapers please also think of cost involved in washing them (cost of running the machine, electricity consumed and water and soap consumption). Plus cloth diapers also use linings which are disposable at times, so add that cost as well. Why we prefer pant style diapers? Bubbles has learned to open her diaper so a pant style one helps to prevent any mishaps. Also, making her wear one is simple, you just have to slide it up. I have noticed that as the kids become mobile they are not very patient with longer diaper changes, so a pant style one helps. Breathability depends on the layer that is on contact with the skin and while we feel the cloth diapers are supposed to be softer for the skin even the diaper options available today have improved their technology and material used keeping in mind the sensitive baby skin. The Pampers pants have flexible waistband and Breathable cotton belts and cuffs which ensure that the skin is breathable. The inner layer that is in touch with the baby skin is made of breathable material with micropores that keep wetness and humidity away from baby’s skin. Finally, it is the convenience that takes over everything else for me. 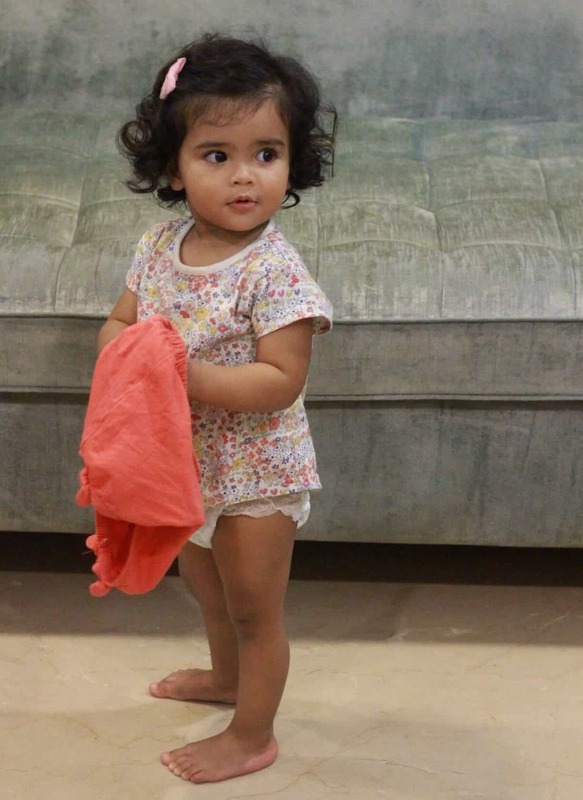 I do not have to plan my laundry, drying space which is a dearth in a city like Mumbai, do not have to tolerate the smell that one associates with diapers as the Pampers diaper locks in all such unwanted smells. It is a boon for busy moms-on-the-go. The convenience and utility of diapers trump the cloth diapers any day. That said, I did use cloth diapers with my baby for her first summer, my mom said she will feel less warm. Also, she learned to use the pot more quickly. But even then, for stepping out and for all travels, I put her her in pampers. Loved your article and the insight. Breathability is definitely an aspect to be considered. This is a must read for all to be mom’s and already moms. I love pant style disposable diaper.The main point of keeping them clean and dry is unbeatable.Great post. Diapers are super convenient especially at night and also while travelling. With proper care and using baby powder and diaper rash creams, babies’ skin can be cared for too. 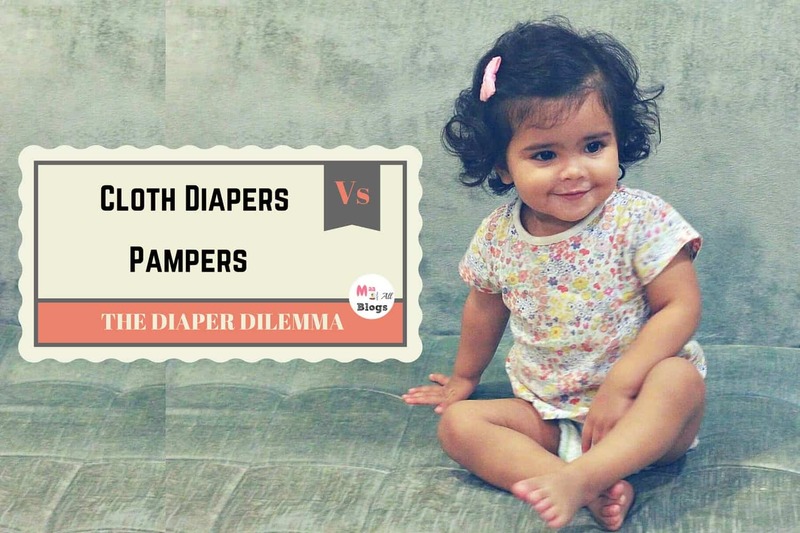 True its a big dilemma , I had used soft cloth diapers for my kid and it was great for his skin! That’s a very informative post for Mothers.. Diapers are must for kids..
Can totally relate to this post. I have used both depending on the situation. This post would help many new moms a lot. Very interesting article. I use both. CD is good for 2or 3 hr only but I can’t do travel or outing without Pampers. I can vow to pampers diaper. I have been using it since my baby was only 5days old. But it is true that Indian market is lack of inborn diapers. This is such a helpful post.. I’ll definitely recommend it to my cousin who has a baby. Yes, disposable diapers are more beneficial if taken care of the timings for which they are worn by the baby!! We had cloth diapers at our time, so our mothers relied on them. Hygiene is the most important thing, and that can be maintained by pampers, not by cloth diapers.